A new look and partnership for Outsports. 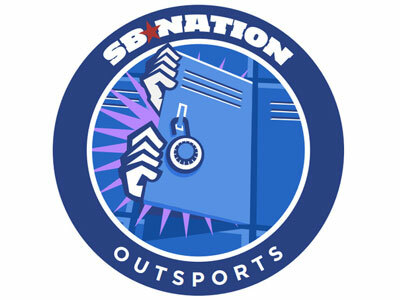 The editors of Outsports announced that their website has been acquired by SB Nation, one of the preeminent mainstream sports websites. Outsports editors Jim Buzinzki and Cyd Zeigler announced their website's acquisition by SB Nation, which will work in tandem with the parent company Vox Media's 311 fan-focused and team oriented properties. The site now sports a new, more streamlined look and a new logo that shows an athlete coming out of a locker. "We think this might be the first time a mainstream media company has purchased a gay-oriented website," the editors wrote in an announcement Monday. They added, "Since launched in late 1999, our readers have been our No. 1 asset, engaging us, praising us, criticizing us, but never ignoring us. This passion the Outsports audience has was a major selling point for Vox."